By making a purchase on this website, and submitting your order, you are agreeing to pay the listed price in full. You authorize BeautyMark Skincare & Bodywork to charge your credit or debit card, or cash your check, as payment for your product or service. Furthermore, you agree that you are responsible for full payment of fees for your order, regardless of whether you actually use the product or all of the service hours purchased on retainer. Company retains the right to display the artwork created for client in marketing materials to showcase their work and expertise. Company also retains the right to share case studies of strategies implemented for client. Company may use items in marketing materials, including but not limited to: website portfolios, videos, presentations, brochures, photographs, social media image galleries, articles, blogs, social media platforms, etc. Client may request in writing to retain privacy and anonymity if they choose. If you need to contact us, you can email us at AshAndSteph@BeautyMarkNB.com, call us at 830-243-4138, or send us a letter to 161 W Jahn, New Braunfels, Texas 78130. Where we are the owner, distributor and publisher of audio CDs and/or software, and/or transcripts, and/or reports and/or ebooks and/or other training products and/or the accompanying materials or software/tools and resources described on this site and/or any services provided by BeautyMark Skincare & Bodywork (collectively the “Materials”), WE MAKE NO REPRESENTATION OR WARRANTIES WITH RESPECT TO THE ACCURACY, APPLICABILITY, FITNESS, OR COMPLETENESS OF THE CONTENTS OF THESE MATERIALS AND/OR WITH RESPECT TO THE ACCURACY, APPLICABILITY, FITNESS, OR COMPLETENESS OF ANY SERVICES PROVIDED. YOU FULLY AGREE AND UNDERSTAND THAT BeautyMark Skincare & Bodywork IS NOT RESPONSIBLE FOR YOUR SUCCESS OR FAILURE AND MAKES NO REPRESENTATIONS OR WARRANTIES OF ANY KIND WHATSOEVER THAT OUR PRODUCTS OR SERVICES WILL PRODUCE ANY PARTICULAR RESULT FOR YOU.  NOTICE OF REFERRAL FEES & COMMISSIONS: The person or company who referred you to BeautyMark Skincare & Bodywork, and specifically to this site may be receiving a commission payment for their referrals. (Usually a percentage of fees collected from clients referred). You should not rely exclusively on this person’s referral in determining whether to do business with BeautyMark Skincare & Bodywork, and by agreeing to these Terms & Conditions, you represent that you will do (or have done) due diligence in evaluating BeautyMark Skincare & Bodywork separate and apart from the recommendation you received that resulted in your visiting and/or making payment on this site.